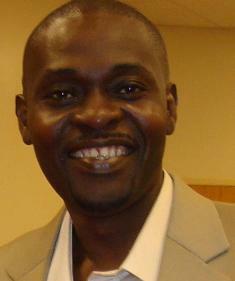 Dr. Olatokunbo A. Awoshakin is a 2013 graduate of the PhD Program in Leadership & Change at Antioch University. This qualitative case study focused on the efforts of the Southwestern Ohio Council for Higher Education (SOCHE) to work with citizens and use existing community assets along with Dr. Richard Florida's 4T model to spur economic growth in the area of Dayton, Ohio. This study provides a unique opportunity to closely examine how innovative approaches and nontraditional alliances might fare in the face of a declining economic growth with a view toward creating an environment that can support sustainable economic development. Multiple interview data, archival documents, and participatory observation were utilized during the study. Analysis of transcripts from structured interviews with a sample of the Community Catalysts, drawn from citizens of the region, and members of the Creative Task Force, drawn from participating institutions, were conducted. The study found that economic development planning models that integrate interaction, dialogue, deliberation, and even heated arguments and debates, if properly facilitated, can more effectively help participants move toward shared goals. Sustainable economic change can be achieved by fundamentally changing the working relationship in the community through purposeful citizens-stakeholder engagement. Findings reinforce the value of grassroots learning and SOCHE’s process of working with nontraditional stakeholders in the Dayton area to generate a momentum that multiplied through social and organizational networks and connections. While the 4T model in the Dayton initiative had benefits, the inability of the SOCHE effort to fully engage participation on the broader issue of race and poverty may have limited the transformational potential of the process. In this research, I propose an adaptation of the 4D-cycle, an appreciative inquiry model to illustrate how multiple stakeholders can talk and work together toward shared economic goals. Recommendations include encouraging higher education and other institutions to work on economic development that is more intentional in seeking non-traditional alliances that help communities move beyond politics as usual and solve problems by aggregating interests. It is further recommended that leading institutions integrate evaluation parameters in community economic development work. The electronic version of this Dissertation is at the Ohio Link ETD Center at http://ohiolink.edu/etd. Awoshakin, Olatokunbo A., "Higher Education, Citizens Engagement and Economic Development Work at the Grassroots: A Case Study of Dayton, Southwest Ohio" (2013). Dissertations & Theses. 23.